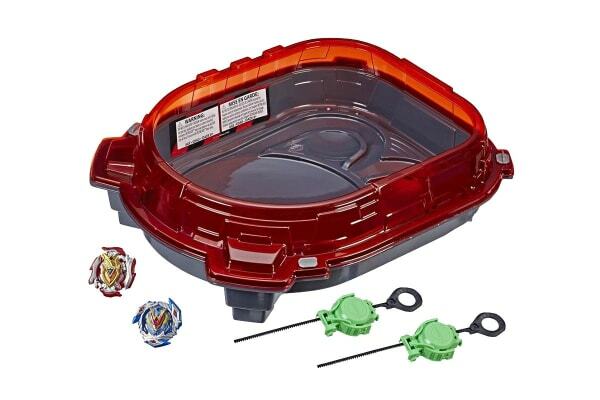 Ride the rails with Beyblade Burst Slingshock tech! The Beyblade Burst Turbo Slingshock Rail Rush Battle Set has everything needed for battle. Rail Rush Beystadium features a dual rail system that propels tops through the rails and into the Battle Ring for intense head-to-head clashes. Slingshock rail system hurtles tops around curves and redirects them towards epic burst moments. 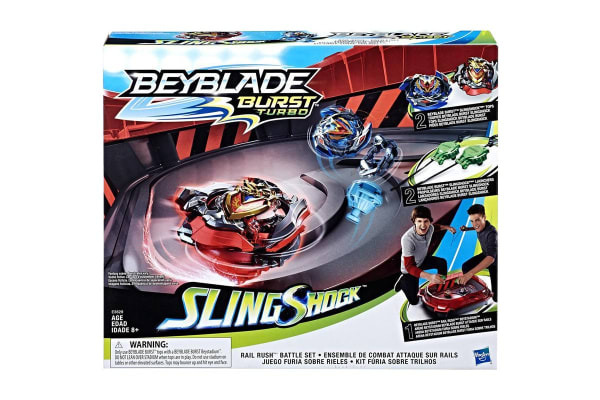 Bladers can keep the Performance Tips in Battle Ring Mode to defend their position in the Beystadium or convert them to Slingshock Mode to ride the rails and charge into battle. 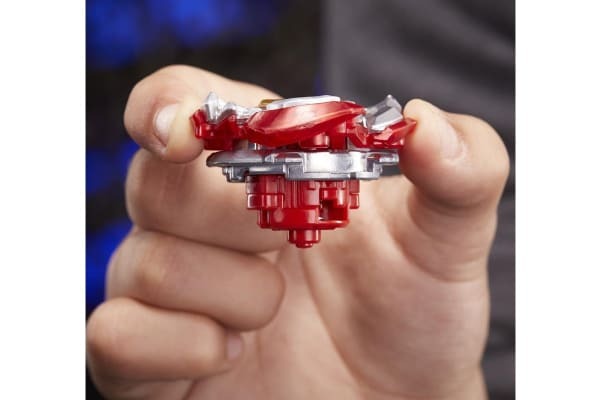 Let it rip!